At Lifetime Health and Wellness, our chiropractic team is truly well-rounded and has undergone thousands of hours of additional advanced training. This additional training and experience enables us to treat the causes of pain and illness at the root while meeting the needs of each patient. We help patients find relief from back pain, neck pain, carpal tunnel syndrome, plantar fasciitis, headaches, car accident injuries, sports injuries, whiplash, and many other musculoskeletal disorders. We provide a range of holistic services including spinal and extremity adjustments, acupuncture, spinal decompression and several other therapies. In addition to helping patients find lasting pain relief, we also help everyone from weekend warriors of any age to student and professional athletes to enhance their performance naturally. All four of our Westminster chiropractors combine their vast skills and knowledge to work as a team treating each of our patients. Each studied to become a chiropractor because they know, from their own personal experience, that spinal health leads to total health. They provide precise spinal and extremity adjustments using a variety of different chiropractic techniques that are designed to offer each patient the most personalized and effective treatments possible. Our chiropractors are trained in the Diversified, Thompson, Activator, SOT and Graston techniques. Each technique, or combination of techniques, they recommend is tailored to the patient's condition and needs. The overarching goal is to ensure the spine and skeletal system is properly aligned and positioned so that the nervous system works unhindered. Returning the body to proper alignment can relieve everything from back and neck pain to carpal tunnel syndrome, plantar fasciitis and headaches. extremity adjustments. Dr. Randy Snyder is a certified acupuncturist, highly trained in acupuncture using either the traditional, thin FDA-approved needles, acupressure, or laser needling. 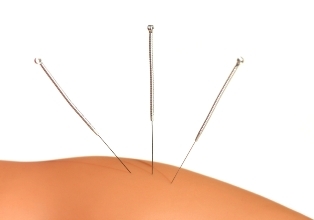 Acupuncture helps with pain relief, muscular atrophy, Bell's palsy, stroke rehabilitation, and stress modification. Spinal decompression therapy is also very helpful in relieving back pain from herniated or bulging discs. Decompression therapy actually helps to return damaged and injured discs to their normal position, which often eliminates pain and the need for surgery. Our chiropractors also provide Kinesio Taping, where they apply a special athletic tape over sore and injured muscles to pull them back into position, relieve swelling, and help fluids to drain properly for optimal healing. Many athletes use Kinesio taping during competition and after to help speed muscle recovery. In addition to these services, we also offer massage therapy, which has numerous medical benefits on top of relieving pain by spurring the body to release endorphins. By increasing circulation, reducing musculoskeletal tensions, and ushering lactic acid out of sore muscles, massage can truly enhance the benefits of all of our other therapies. Call us today at 303.423.4610 to learn more about how we help relieve pain and help our patients achieve great health!